Electric Bikes: Ride into the Future. 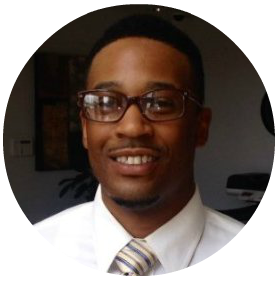 Dr. Telpriore G. Tucker has a passion for renewable energy in practical applications; he is a battery specialist and an entrepreneur with Sirius E-Bikes in downtown Tempe. Electric bikes (e-bikes) are a trending technology combining a traditional bike with a battery and motor for instant propulsion. The lithium-ion battery cells and the controller systems have evolved exponentially in the twenty-first century to accommodate the rider’s needs of longevity and durability. These specific type of bikes are transforming how people travel on a daily basis in urban and even rural communities. Metropolitan populations around the globe are growing rapidly where automotive traffic is becoming more congested, therefore making it more difficult for traveling to destinations in a timely manner. Dr. Telpriore G. Tucker attained a PhD in Chemistry with an emphasis in electrochemistry for fuel cells and batteries systems at Arizona State University in the Fall Class of 2014. He was the founding president of the Central Arizona Graduate Chapter of The Electrochemical Society (ECS) for fellow doctoral students, which was awarded the ECS Chapter of Excellence for 2013-14. He is also the founding president of The Electric Battery Bike Organization on campus and recently a new board member for the Arizona Green Chamber of Commerce. Dr. Tucker continues to pursue his passion as an entrepreneur for sustainable applications of energy storage in electric bikes by launching Sirius E-Bikes, which is an electric bike shop located in downtown Tempe just north of the ASU campus off Forest and 6th St. Lunch and Learn will be held at Macayo's on Central at Indian School. The rate of $20 for members and $30 for nonmembers. Rate includes your choice of item off the lunch menu as well as a soft drink.